The benefits of learning English rules online is obvious: it’s free, it’s easy, it can be fitted into your own schedule. Using the materials below will help you polish your English as a second language – online, for free. You will find lots of materials for learning English grammar and vocabulary. And in case you have an essay to write (and no desire or skills to do it), you can use our online assignment writing services. Enjoy learning English while we take care of your grades. We hope that this tutorial will be useful for learners and teachers of English as a second language, and will help to practice English in effective and enjoyable way. Using the directory is easy: you can navigate to a specific section using the links below, or simply press Ctrl+F to search for a specific topic. The correct use of indefinite articles “A” and “AN” is one of the most basic English grammar rules. Ironically, although everyone who was ever learning ESL is familiar with this rule, still many people make errors when using indefinite articles. The rule is, however, really simple. Basically, if you pay attention to how does the first letter in a word sound – like a vowel or like a consonant – there are no exceptions. If the first letter sounds like a vowel, use "an", otherwise, use "a". The word "hour" starts with an "h" which has no sound so the first sound in the word is a vowel, so we say "an hour". The "u" in "university" sounds like "ju" – the first sound is “j”, so we say "a university". The following set of rules is another basic component of ESL grammar lessons. Below you will learn when to use “a” or “an”, when to use “the”, and when to skip the article altogether. There are two types of articles in English: THE (definite) and A/AN (indefinite). Which one to use depends completely on the word modified. Alex is an Orthodox Christian. "The" is used before singular and plural nouns which are particular or specific (when you are referring to a particular member of some group). So we say: a cat (any cat), but the cat my grandmother kept (that specific cat). We also say: some boys (any boys), but the boys she was friends with in school (those specific boys). English is a national language in several countries. The English he speaks is common in rural Ireland. I found a book at my desk when I came home today. The book is not mine and I don't know who left it there. I should ask my parents if they didn't leave the book in my room. You can practice the article/no article rule here. You may be thinking that you know exactly when to use capital letters, but English can be tricky. When doing the ESL grammar exercises you may realize that capitalization rules in English are different from those in your first language. Have a closer look at the rules below, and then challenge yourself with this capitalization quiz! I sent a present to Uncle Ben, but not to my other uncles. People worship many different gods. Many people liked Mayor Thompson. Scott Thompson, mayor of our town. The Wilkinsons have moved to the Northeast. His farm is five miles south of Springfield. In this section you will learn how to choose the right prepositions to indicate where the object is located or where to/where from it is moving. After getting familiar with the theory below, you can practice using ESL exercises and quizzes on this topic. ON is used to indicate that the object is physically in contact with and supported by a surface. IN is used to indicate that the object lies within the boundaries of some area, or within the confines of some volume. She wrote a note with her lipstick on the mirror (surface). She saw her face in the mirror (area). The cows are grazing on the meadow (the meadow is not enclosed by a fence). The cows are grazing in the field (the field is enclosed by a fence). My dad yelled at me after he got the call from my school. I spent the whole evening at the Christmas fair. We arrived at the railway station. The basic preposition of direction. Signifies orientation towards a goal. I am going to school by bicycle. I'm learning English to go abroad. IN + TO = into: signifies movement with the result that someone/something becomes surrounded by something else. He jumped from the edge of a cliff into the water. ON + TO = onto: signifies movement toward a surface. I slipped on a banana skin and fell onto the floor. I fell on the floor OR I fell onto the floor. Now I am on the floor, NOT I fell onto the floor. The errors in using time/spatial relationship prepositions are very common among students who are learning ESL. Below you can find a short and handy material on how to correctly use prepositions with a point in time, extended time, and position in space. I will go to bed at midnight. The lessons start at 8 a.m.
Let's go to the movie on Tuesday. I have to go to school in the morning. It will rain a lot in November. He was born in 1992. I will be volunteering in summer. To express extended time, the following prepositions can be used: during, for, from...to, from...until, since, by, within. It's recommended to drink at least 6 glasses of water during the day. (At any time that day). She is going to Canada for three months. (She will spend three months in Canada). This road will be closed from November to March. (It will be closed in November and open in March). This road will be closed from late autumn until early spring. (It will be closed in autumn and open in spring). The electricity was gone since midnight. (It went off at midnight and isn't back yet). My thesis will be finished by autumn. (I will finish it no later than autumn). I should complete my home task within a day. (In no longer than a day). The bird flew over the river to the other bank. Her photo is still hanging above my desk. Sign the document below the date of issue. The village is beneath the ancient castle. A big part of the anthill is under the ground. The house has a solid foundation underneath. The library is near the central square. The coffee shop is right next to my office. We found Jack's sweater among Sophie's clothes. The house #45 is between the house #47 and the supermarket. There is a checkpoint by the road. For practice, check the exercises on this topic: 1, 2. When planning English as second language lessons, teachers tend to include lots of material on using adverbs vs. using adjectives, because they are often very similar to each other. In this section you will learn how not to get confused and always use the right words. Adverbs modify adjectives, verbs, and other adverbs. Adjectives modify nouns. Many of adverbs are formed by adding "-ly" to an adjective. Below are some examples of how to tell one from another. Donald is careful. Here careful modifies the personal noun Donald, so it's an adjective. Donald walks carefully. Here carefully modifies the verb walks, so it's an adverb. Donald is remarkably careful. Here careful is an adjective that modifies the noun Donald and remarkably is an adverb that modifies the adjective careful. Donald walked extremely carefully today. In this sentence, there are two adverbs – carefully that modifies the word walked and extremely that modifies the adverb carefully. She is a luckily woman. She is a lucky woman. I am incredible worried about him. John can work normal again. I am incredibly worried about him. John can work normally again. He has been ill all month. I tried to be helpful. When an adjective modifies the noun before the verb, it always follows a verb of appearance or a sense verb: seem, look, taste, smell, feel etc. The winter air smells fresh. Using adverbs instead of adjectives would not make sense in these cases because it would imply that, for instance, chicken curry is great at tasting, John’s wound is not good at looking, and so on. Bottom line – be sure to always notice whether the word modifies the noun or the verb. If it modifies the verb, you should use an adverb. If it modifies the subject, you should use an adjective. It’s as simple as that. Well is an adverb, which can be used as an adjective in a health-related sense. In this specific sense, you can use well in a sentence like "I recovered after that flu and now feel well". In every other case well functions as an adverb and should be used accordingly, for instance, "He did well on the driving exam". Good is an adjective. So you would say that you look good and feel good, but you do well and live well. Sure is an adjective which also can be used in the idiomatic expression "sure to be". Surely is an adverb (which can also be used as a sentence-adverb). I am surely ready to take this exam. Surely here is an adverb which modifies the adjective ready. He is sure that you did this. Sure here is an adjective which modifies the pronoun he. He is sure to be a good partner. Sure to be here is an idiomatic expression functioning as an adjective which modifies the pronoun he. Nearly is an adverb meaning "almost" or "in a close manner". Near can be an adverb, verb, adjective, or preposition. The moment of triumph neared. Neared here is a verb in the past tense. We are nearly done packing. Nearly here is an adverb that modifies the verb done. The truth will be revealed in the near future. Near here is an adjective which modifies the noun future. The dog crawled near. Near here is an adverb of place which modifies the verb crawled. Siblings are more nearly related than cousins. Nearly here is an adverb which modifies the verb related. The mystery is revealed in a scene near the end of the book. Near here is a preposition and a part of the prepositional phrase "near the end of the book". You should use adjectives to describe how you feel, so you would say, for instance, "I feel bad right now". If you'd say "I feel badly", that would mean that you are unable to feel, like if you were saying that you play guitar badly. I'm feeling really well right now. Really here is an adverb that modifies the adverb well. Are you really going to climb Everest? Really here is an adverb which modifies the verb going. Let us stop joking and concentrate on the real issue. Real here is an adjective which modifies the noun issue. Check how much did you learn by completing this exercise on adverbs and adjectives! An appositive is a noun/pronoun (possibly with modifiers) which is put after another noun/pronoun to identify or explain it. The tricky thing about using appositives is punctuation, so you wouldn’t have any problems with them while practicing your spoken English (in an oral conversation). In writing, though, you will want to pay some attention to the commas. My friend Sarah is a teacher. My boss's wife, a stunning blonde, is the envy of his friends and colleagues. An adorable Russian Blue, Mollie was my favorite cat. An expert in sales, John is on his path to becoming a head of marketing department. The popular singer Michael Jackson was known for his impressive performances. On the opposite, if the sentence would be clear enough without the appositive, do use the commas – one before the appositive, and one after. Michael Jackson, the popular singer, was known for his impressive performances. Using countable and uncountable nouns correctly is something that ESL students often struggle with. In this section, their use is explained very simply and to the point. Obviously enough, the difference between countable and uncountable nouns is whether you can or cannot count the things they stand for. All of these objects can be counted: five boys, two hands, one stadium, and dozens of icicles. You can easily detect uncountable nouns by putting the word "many" in front of the noun to see if it makes any sense that way. Neither of the above words can be pluralized (you can’t say “many weathers” or “attitudes”), therefore all of them are uncountable. To all of these, the general rules for uncountable nouns are still applied. Measure the gained skills: countable or uncountable exercise. Most of the time, the choice of adjective is not affected by the kind of noun – for example, you can say both “The book was blue” and “The water was blue”. The difference between countable and uncountable nouns only matters when it comes to certain adjectives, which you will learn in the following ESL lesson. Many Mexicans move to the U.S. I don't have much money left after the holiday. A lot of Mexicans move to the U.S. He has lots of money because he is a famous actor. There are a few cows on the farm. Little only modifies uncountable nouns. I have little money on my bank account. Curious how much did you learn? Test yourself here! Errors of the subject-verb agreement are among the most common errors in English grammar. Below are several rules for making sure that subjects and verbs agree in the sentence. Thomas and his parents are out of town today. He or his girlfriend is definitely at home because the light inside is on. Her husband and friends visit her in the hospital every day. Her friends and husband visits her in the hospital every day. Remember that the verb agrees with the subject even if there is a word of a phase between them. One of the kittens is white. The lady with all her kids lives in a small flat. My little brother, as well as his friends, is afraid of the dark. everyone, everybody, each one, each, someone, somebody, anyone, anybody, either, neither, nobody, no one. Each of my dogs is well trained. No one is at home tonight. The class goes to the museum after school. My football team have never been able to agree with each other. Uncountable nouns which end with -s, such as physics, economics, measles, news and similar, require singular verbs. The TV news is at 6 a.m., 7.30 a.m., and again at 9. My trousers are too tight. The scissors are in the toolbox. Using the verb tenses consistently and clearly is important both in writing and speaking, so we couldn’t skip this topic in our English grammar tutorial. To sum it up, if the time frame for each state or action in the sentence is the same, shifting from one tense to another may cause confusion. One minute before midnight the candles were lit, the champagne was open, and the family gathers around the table. Were lit and was open are past tense verbs; gathers is present but should be past (gathered) to maintain consistency within the time frame. Correct: One minute before midnight the candles were lit, the champagne was open, and the family gathered around the table. The shelters are providing food and warmth for homeless people who had nowhere to go. Are providing is a present tense and had is past, but should be present for the verb tense consistency (if the shelters are still providing help, homeless people still have nowhere else to go). Correct: The shelters are providing food and warmth for homeless people who have nowhere to go. My grandfather lives in a small log house, which he built himself. Lives is present tense, referring to a current state (he still lives there now). Built is past and is referring to an action completed before the current time frame (he is no longer building it). I am learning German and Spanish because I will be in charge for cooperation with German and Spanish contractors next year. Am learning is present progressive which is referring to a currently ongoing action. Will be is future tense, referring to action expected to begin later than the current time frame (I will be in charge for cooperation in the future, after I have learned the languages). There are some words in English which sound almost the same but are written differently and mean completely different things. You may notice this while learning English in conversations. In the list below you will find some of the most common words of this kind and how to differentiate them. Accept = to agree/to receive (verb): I accepted their apologies. Except = to exclude/to leave out (verb): Women over 60 were excepted from the survey. Except = other than (preposition): Everyone got an A+ except John. Affect = to influence (verb): The lack of rest will affect your performance. Effect = to accomplish (verb): My efforts have effected a significant change in college regulations. Effect = result/consequence (noun): Will the lack of rest have an effect on your performance? Advise = to recommend/to suggest (verb): He advised me to drive carefully tonight. Advice = recommendation (noun): He gave me an advice to drive carefully tonight. Conscious = attentive, aware (adjective): I am completely conscious of my guilt. Conscience = person's moral sense of right and wrong (noun): I wouldn't cheat on the exam because my conscience wouldn't let me. Idea = mental impression (noun): Jack has an idea that we should all go hiking next summer. Ideal = something or someone regarded as perfect (noun): Michael Jordan was his ideal in the world of sports. Ideal = perfect (adjective): He was an ideal husband and father. Its = possessive form of the pronoun "it": My dog has some dirt on its paws. It's = it is/it has (contraction): It's (it is) going to be sunny tomorrow; It's (it has) been sunny for two weeks. It is warmer than yesterday. He would rather walk than take a bus. If you make enough money, then buying a car should be no problem. We were spending lots of time together back then. First I have to work, then I can have a rest. They're = they are (contraction): They're on vacation now. There = that place: The main square is over there. Their = possessive pronoun: Their dog barks all night long. To = preposition/a part of the infinitive form of a verb: I will go to the gym to exercise. Too = also, as well/excessively: I want to go to the gym, too. I'm too tired to go to the gym today. We're = we are: We're lucky to be here. Were = past tense form of the verb "be": We were the youngest people in the group. Where = location: Where is my shirt? Your = possessive pronoun: Aren't your shoes too tight? You're = you are (contraction): The shoes you’re wearing are too tight. Already = expressing time (adverb): I'm already going home. All ready = expressing complete preparedness (adjective): I'm all ready to go home. Altogether = completely, entirely (adverb): It was so hard to keep up with homework that I decided to quit the study altogether. All together = summed up: All together, there were more than fifty people in my class. Anyone = any person (pronoun): Anyone can join this party. Any one = a specific item in the group (adjective): Any one of these books could keep me entertained for a whole weekend. Anyway = in any case/nonetheless (adverb): It was a hard task, but I did it anyway. Any way = any direction/any manner (adjective or noun): She couldn’t help me in any way. Awhile = for a short period of time (adverb): I had to go home but my best friend showed up so I stayed awhile. A while = significant period of time (noun): It took him a while to learn Spanish. Maybe = perhaps (adverb): Maybe he could find another job. May be = might be, could be (verb): It may be better for him to find another job. 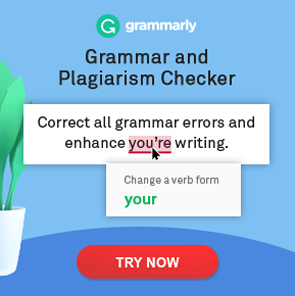 Sometimes, when the verb in English is followed by an adverb or a preposition, it changes the meaning of that verb completely, forming an idiom. When you are just learning English as a second language, those constructions can confuse you. He takes after his parents. I know I can count on my friends in any situation. My car broke down in the middle of the road. I turned off the light and went to bed. Before going to bed, I turned the light off. I ran across my ex-colleague in the supermarket. I ran him across in the supermarket. Instead of cooking lunch at home, I prefer eating out on Sundays. I prefer eating out the lunch on Sundays instead of cooking. The challenge is that there is no strict rule to tell one kind of phrasal verb from another, so it needs to be learned by practicing English through conversations and frequent use. You can additionally check this extensive list of phrasal verbs and phrasal verbs + other idioms list. I’d love to feature this wonderful article in my post, patriciadorsey.wordpress.com. May I do that? Thank you. Hi, Patricia! Thanks for the feedback and sure, you can feature the article in your post. Glad you found it useful! Thanks for sharing with your audience.